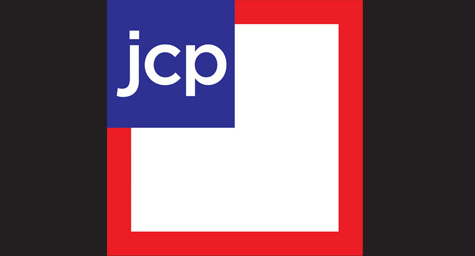 JCPenney is planning to reduce its television advertising spend and allot much of its marketing money to print advertising. This move follows a disappointing second quarter of substantial losses for the major retailer, which admitted to spending too much on TV advertising and not enough on print. Adweek.com reported on how the retailer is redistributing its marketing budget by tuning out television and turning its attention to print advertising. When 2011 began, JCPenney was coming off a year that generated a $14 million profit for the company. Such success inspired the bold decision to invest $289.1 million in television advertising and only $124.5 million in print. In contrast, their competitor Macy’s reversed that distribution by spending $263.7 million on TV advertising and almost twice that amount, $506.5 million, on print. In fact, a full 85 percent of Macy’s print advertising budget was allotted toward newspaper ads alone. This year, JCPenney paid the price for taking such a major media risk with a second-quarter net loss of $147 million and a 23 percent decrease in revenue, which marked the retailer’s lowest quarterly sales in 20 years. In response to such poor performance and in an effort to recoup its losses, JCPenney quickly developed a new media strategy focused on the immediate goal of bringing more consumers into stores instead of their previous long-term aim of building the brand. Their rationale is that print advertising will enable them to better express their value to customers in a more direct and price-centric way. Once this new direction was decided on this summer, the brand immediately stopped their TV run and focused on creating print advertising campaigns. While they’d run only 11 preprints in the newspaper during the entire spring season, they quickly created eight for August, and 30 to be placed throughout the rest of the year. While their TV advertising spend has definitely decreased, it has not completely disappeared. Their few remaining TV ads were quickly re-edited to either highlight particular merchandise brands or promote in-store events like free haircuts for kids. The messages of these commercials were re-designed to follow the revised media strategy of driving consumers into stores. Looking forward, JCPenney hopes to regain both its standing and its revenue with its new focus on print advertising. This demonstrates the retailer’s confidence in the power of print despite ongoing industry concerns about the future of such traditional advertising channels. The company clearly believes that print advertising is the most effective way to communicate their distinction as a value-centric retailer and get their target audience back to shopping and saving in stores. To learn more about current trends in print advertising and television advertising, contact MDG Advertising. At MDG Advertising, a full-service South Florida advertising agency with offices in Boca Raton and New York, NY, our 360° marketing approach uses just the right mix of traditional and online media to reach your marketing goals. While some industries may fare better in print and others online, we strive to create a balanced approach where digital and traditional advertising efforts support each other and your marketing message is tailored to the medium. To stay on top of the latest trends in television and print advertising, contact MDG Advertising.